The Florida Writers Association offers a series of one-day conferences at various locations around the state. Each conference has two or more tracks, so you spend the whole day studying one subject. Visit the FWA website for more information and to register. 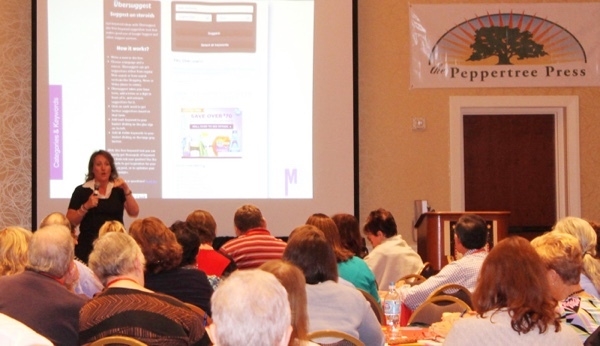 Penny Sansevieri teaching a workshop at the FWA 2014 fall conference. Photo by Karen Lieb.